...a peregrine falcon chick that is. MassLive reports that a baby chick has hatched on the rooftop of the W. E. B. DuBois Library at the U of Mass. There appear to be a few more still incubating. 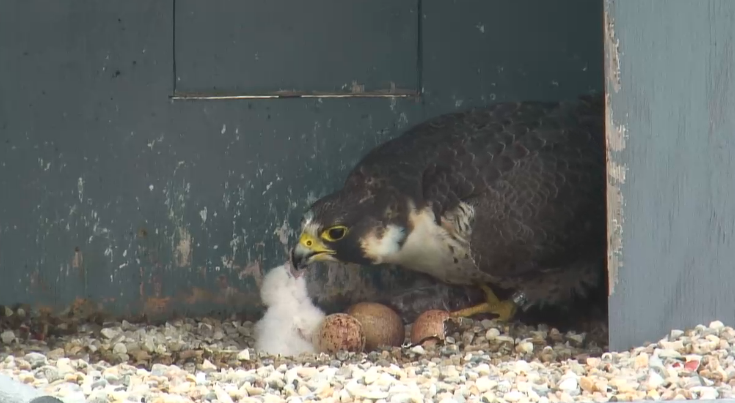 The hatching was announced on Twitter, with photos taken from the library's falcon webcam . Enjoy! Permalink Submitted by birdie on June 5, 2015 - 2:21pm. ...at the Evanston (IL) Public Library.